Cutting edges designed to cleanly cut all types of wire : Piano wire, soft wire and modern materials, etc. Long lever arm, offset pivot for minimum cutting effort. 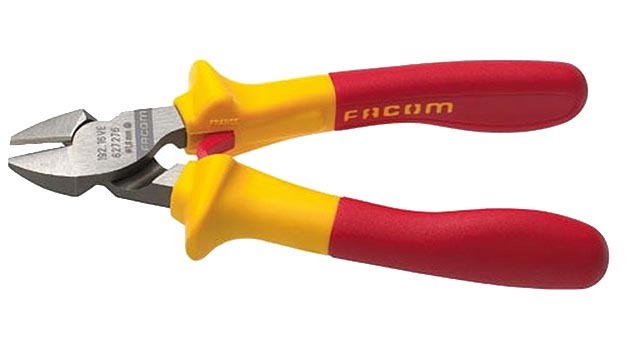 Facom VE vs VSE Series Insulated Tools - Facom's 1000V tools come in two classes. 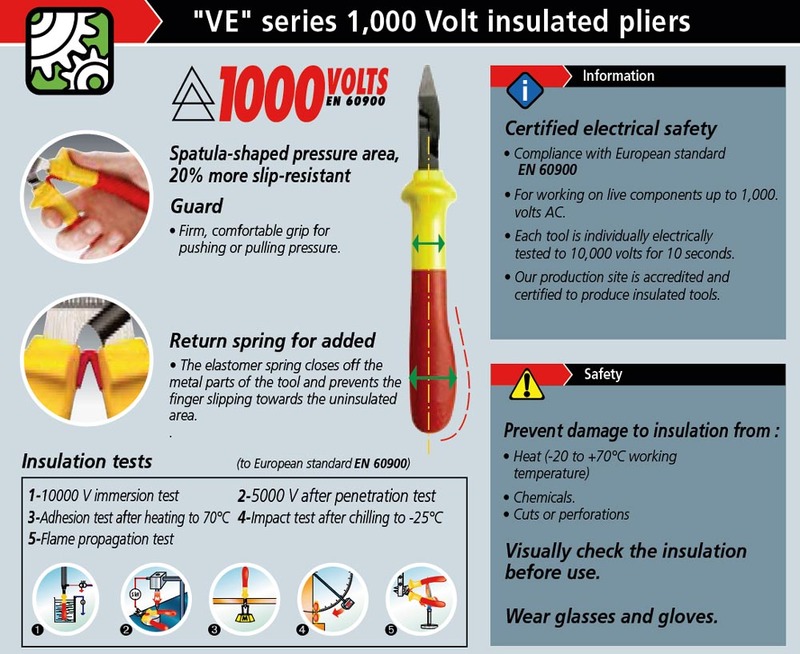 VE Series tools are designed for contractors who install and maintain electrical equipment in buildings, and combine the safety requirements needed for working on or near live components with ergonomics and practicality. VSE Series tools are aimed at users who work around higher live voltages, as is the case in electrical power plants. As an added safety feature, Facom's VSE tools have two layers of insulation: an orange top layer and an underlying yellow layer.When the top layer becomes worn or damaged, it exposes the underlying yellow layer which indicates to the user that its time to replace the tool. The VSE tools also have larger guards to help keep hands clear of the non-insulated parts of the tool.